The food community in Vermont is tremendous and we are proud to be part of this. 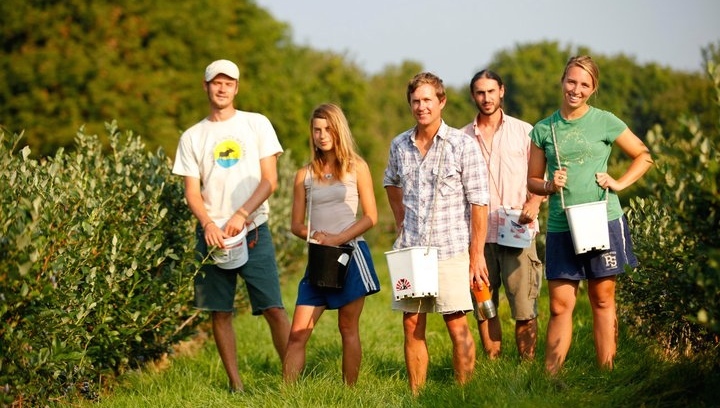 The farm’s goal is to create community through food and berries. We believe that how we choose to consume has an impact on the environment and our future. We hope that the farm can be part of that choice. We value the relationships with those who eat our food and support our livelihood. 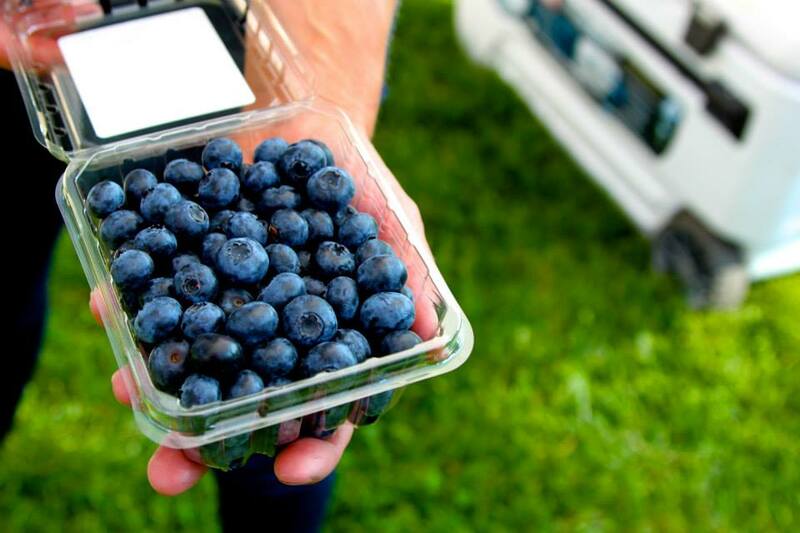 Grow high-quality organic berries to be distributed through diverse local markets in the greater Burlington region. Foster community through pick-your-own and various community outreach projects. Educate customers about where their food comes from and the importance supporting local and organic. 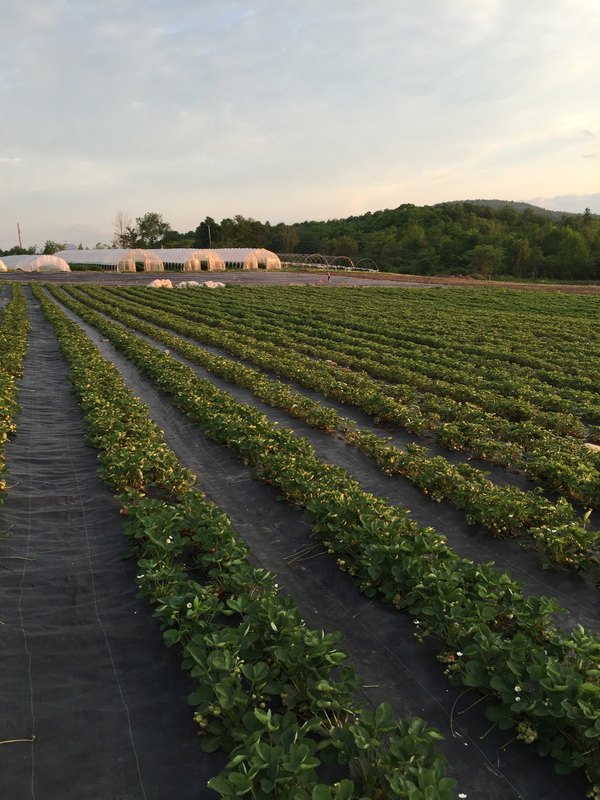 Create an enjoyable work environment for ourselves and our berry farm employees. Make the farm entertaining for both customers and employees—we want an energetic and fun vibe. Have a friendly and informed staff who are committed to the future of small farms—they work hard, inspire customers, and help us remain excited about what we grow. Treat our customers like guests. We want to help you understand the farm, why what we do that is unique, why support organic and sustainable, why local, why flavor is enhanced through local varieties, what goes into the process, and how it is grown. We are a customer-directed business. Reduce our exposure to chemical pesticides and fertilizers by using certified organic practices. Strengthen local economy and community. Upholding our growing and farming criteria: Would we eat it ourselves, and would we feed it to our children? How was it raised grown or made? What was the impact on the environment? How were the workers treated? Can we feel good about that? Be welcoming and accommodating. The farm also serves as a hub for socializing and interacting. People want and need a connection with their food, the natural landscape and their neighbors right now. We want to create a place that we would like to visit and shop. Encourage people to go low on the retail chain by buying direct from farmers, farmers markets, co-ops, natural food stores and local independent stores. These are relationship businesses that keep the local Vermont economy thriving. 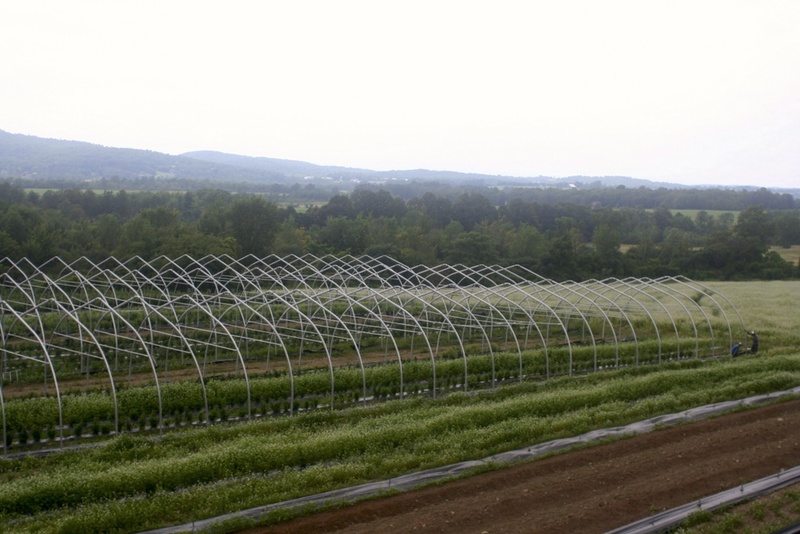 In 2001, we started the berry farm with 300 plants in the high country of Lincoln, Vermont. We quickly came to terms that we had a mouse-sized growing season and explored moving to expand the farm and micro-climate. We looked for land for a period but nothing was available that either offered decent agricultural soils or price. A dear friend suggested that we look into the Intervale, about which we had only heard rumors before. A month later, we had signed a lease and oddly moved to the city to start a farm. The 11 years at the Intervale allowed us to find our roots, build community and establish a business. Continual flooding and crop losses, however, forced a farm transition to higher ground. In the fall of 2012, we closed on a new piece of farmland in East Charlotte, about 10 miles south of Burlington. We worked with the Vermont Land Trust and the Farmland Access Program to purchase a beautiful piece of conserved farmland for our farm’s new home. In the spring of 2013, we started our relocation to our new and permanent home. The move offers long-term stability, the ability to expand on our vision and offer greater production capabilities. The nice change is that we now live on property and farm allowing us to stay in touch with its rhythm. The slope of the fields provides great air drainage to our swath of prime agricultural soils. We are lucky enough to be surrounded by other conserved farms to both the north and south, and to live in a supportive and welcoming farming community. So far it has proved to be an idyllic small town outside of a thriving small city. Our farming practices really come down to the simple decision of: would we want to eat it ourselves and would we feed it to our family? We personally like to know how things have been raised, grown or made in our lives. This extends to work and makes me think about our impact on the environment both in Vermont and beyond. Our soils are healthy and active and our surrounding waterways are not impacted by farm run-off. I feel comfort knowing that anyone who has worked at the farm has been treated well and was not exposed to anything potentially harmful. Our growing practices reduce our exposure to chemical pesticides and fertilizers. This is accomplished by using certified organic practices certified by Vermont Organic Farmers. Organic farming takes a lot more labor and energy. We hoe, we hand-weed and we walk around a lot. Harvesting requires us to bend over, contort and twist. Farming is a physical act. Certain days, we feel like a decrepit old people but it sure beats sitting on a tractor or behind a desk all day. This continual movement improves our health by an encouraging an active lifestyle and a hungry belly that likes to eat well at the end of a hard day. Of course, this is fed with as much Vermont and organic produce as possible. We love looking out over the fields and seeing families that have been coming to the farm since their mom was pregnant and knowing that our food has nurtured them positively through their life. It is something we believe in. Simply said, we like healthy food and we grow what we would want to eat.